Do you want to enjoy Japanese siomai at home? You can enjoy siomai all you want if you start learning how make it. 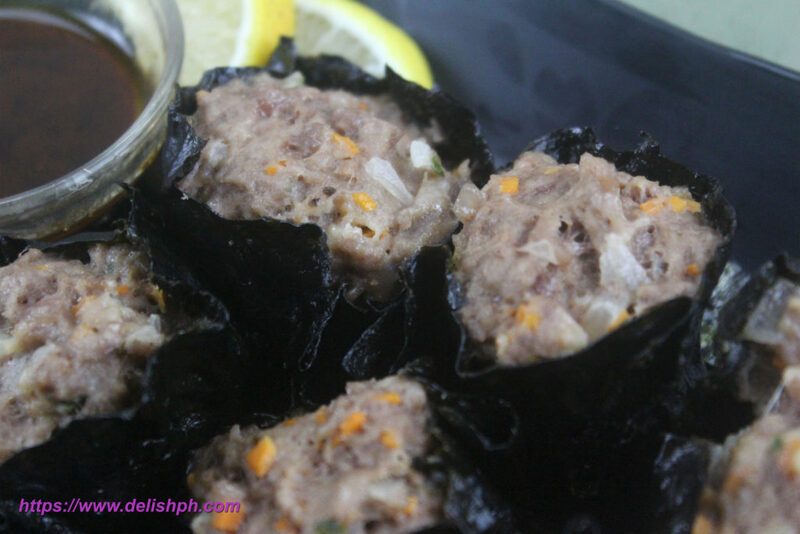 Instead of using the traditional siomai wrapper, we will be using nori seaweed wrapper to add more taste to our pork siomai. Very easy to make and it can also be a good business option. 1. In a bowl, combine all the siomai mixture ingredients. Ground pork, carrots, onions, green onions, ginger, soy sauce, sesame oil, egg, all-purpose flour and season with salt and pepper. 2. 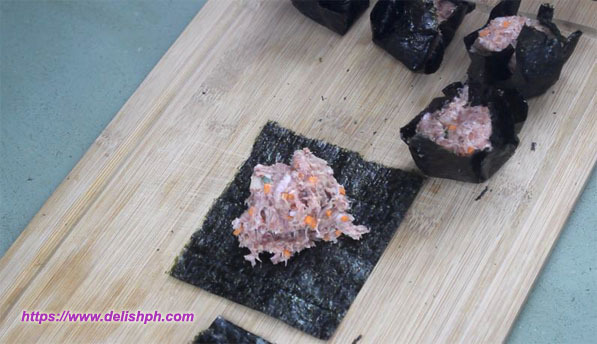 Cut the nori seaweed wrapper into 4 parts or even six, depending on the size of the siomai that you want. 3. Scoop the siomai mixture and put it on the center of the wrapper. Then start folding it in a circular motion while pressing the mixture down. 4. Steam for about 15 minutes in a medium to low fire. For this version, I made a bit bigger size siomai. Also used Kikkoman Sushi and Sashimi Soy Sauce for the dip. But I’ll be uploading a video on how to make siomai sauce soon. If you have questions or suggestions about this recipe, drop a comment below or send me an email or direct message us on our Facebook Page. great help to know more recipes for the family.thanks a lot.